Is Boko Haram A Catalyst To Civilisation? Ibrahim in Lagos left Maiduguri in the heat of Boko Haram activities. The influx of youths from northeast Nigeria to Lagos and other parts of the oil-rich nation is another pointer to the presence of seed of equivalent benefit in the activities of Boko Haram. Great self-help authors and influencers like Napoleon Hill others that followed his leading have identified what they called the seed of equivalent benefit in every circumstance and that kind of equivalent benefit is showing up in the activities of Boko Haram in the northeast. In December of 2017, Bounce News' correspondent, Williams Osewezina, visited Borno State and was at the Benisheik Internally Displaced Persons (IDPs) camp and had talks with some of the displaced persons. One thing that was easily noticeable in the camp was that most of them were children, women and old men. The youths had either joined the terrorists group which they said enticed their youths with money (Please, watch attached video and see). Some others have ran away from the north and they triggered this write up. Lagos State is a city with a very large population and recently, there have been influx of some young northern Nigerians who have escaped the acts of terrorism. Most of them have taken up the Okada business and had very attractive bikes that you would want to mount. One of them, who simply identified himself as Ibrahim, told Bounce News on Monday that he came to Lagos State last year. He could barely speak pidgin English and he said he was from Maiduguri. You can also ask a few Okada riders in your area where they are from and you ill find a reason with this write-up. 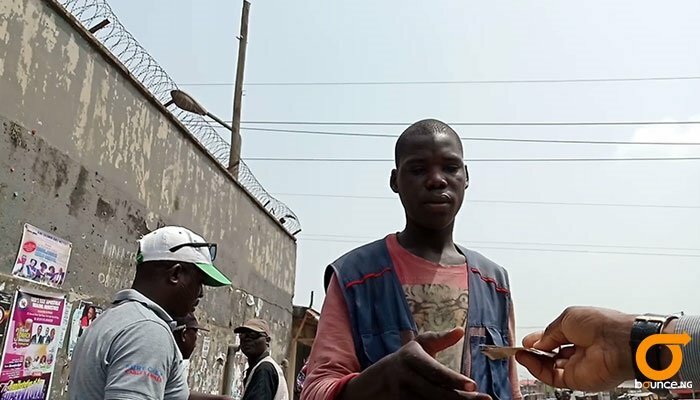 The influx of people like Ibrahim who are popularly referred to as Aboki are much in Lagos and that means a lot to the nation. This one is debatable, but Nigerians, especially those in Lagos still claim that people in the north who have refused to embrace Western Education were the reasons the nation was not growing so fast. This assumption almost caused a fight in a bus passengers boarded from Eko Hotel Roundabout to Iyana Ipaja few weeks ago. The people who are for this assumption have their reasons, citing researches that have shown that Western Education had contributed to why most Nations had technological advancements and growth in different spheres of life. The kind of advancement majority of civilised Nigerians clamour for. Boko Haram is kicking against this advancement of Western education in the North East region and that is gulping Nigeria's revenue, with huge sum of money going into security matters. People who refused to join Boko Haram have fled the state and some have moved down to Lagos. This movement is like a blessing in disguise, as Ibrahim told me he loved Lagos because of the peace he experiences and because of the way everyone relates with each other in the city. 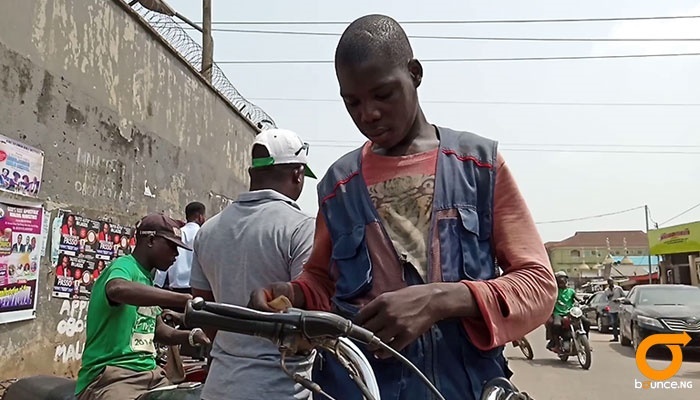 Gradually, other Okada riders from the north like Ibrahim are learning how to communicate in pidgin English and this is believed would have a great impact on them.